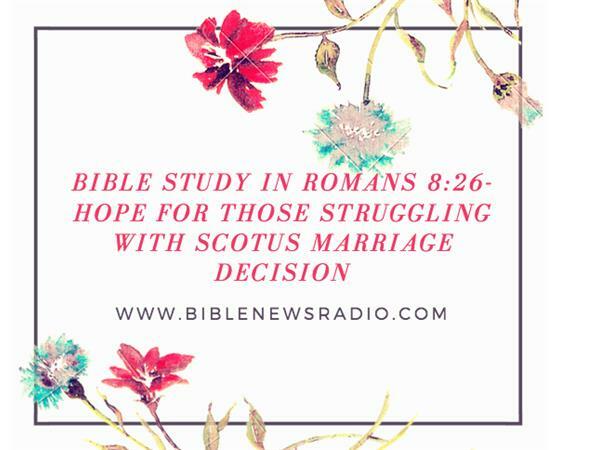 Today we hope to finish the 8th Chapter of Romans and offer hope to Christians who are struggling with the unConstitutional SCOTUS gay marriage decision. We'll also be reading some of the comments we've received on our Facebook page asking whether or not pastors preached on the SCOTUS decision yesterday or God's pending judgment. Don't forgot to follow Bible News Radio on Facebook and Twitter.